I covered this on Friday at Search Engine Land (so stop reading if you read it there). YouTube has added a ranking factor to YouTube Search - the new ranking factor is time watched. Now, depending on how much time your video is watched (I guess based on the video length), the longer the whole video is watched, I guess the more likely your video will rank well in YouTube's search results. 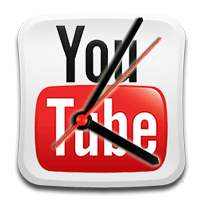 YouTube also added time watched to YouTube Analytics so video producers can see how well their videos are doing in terms of time watched. Previous story: Marissa Mayer Cleans Up Home Page & Drops Purple Logo?